Arbitration is a popular method of dispute resolution and is confidential as well as a cost effective method of dispute resolution. 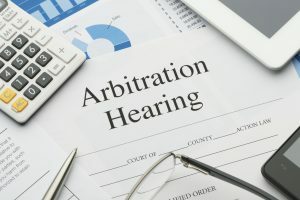 Arbitration is increasingly used for the resolution of a wide range of disputes including: complex construction and engineering disputes, property disputes, commercial and business disputes. Chambers has significant knowledge and expertise in arbitration. Chambers specialises in the resolution of a wide range of disputes by arbitration. Representation in the High Court, Court of Appeal and the Supreme Court in connection with challenging an arbitrator’s award.